A special thank you to anyone who has volunteered to join our Milton box packing team this upcoming week. We are in still in need of a few more hands and would love to see some new faces at Bob Rumball on Tuesday morning. We are in need of helpers over the age of 18 to assist in weighing, packing and loading our food boxes. We are also in need of a driver helper to assist in dropping off at various pickup locations with our driver. Email manager@haltonfreshfoodbox.com for more information and inquiries. Chop the onion into thick wedges. Warm the olive oil in a large size frying pan over a medium high heat, then add the onions and fry until golden and softened. Roughly shred the cabbage and add to the pan, continuing to cook until wilted and crispy. Chop the sweet potato with skins into pieces and add to the pan. Once everything in the pan is crispy, add a dash of tamari or soy sauce and then transfer to a plate. Replace the pan on the heat and add more olive oil if needed. Crack the eggs into the pan, cook until the underside is solid then flip and cook for just another minute. Flip out on top of the hash and split the yolk with a knife. Halton Fresh Food Box is seeking individuals living/working in Halton to serve on our Board of Directors! 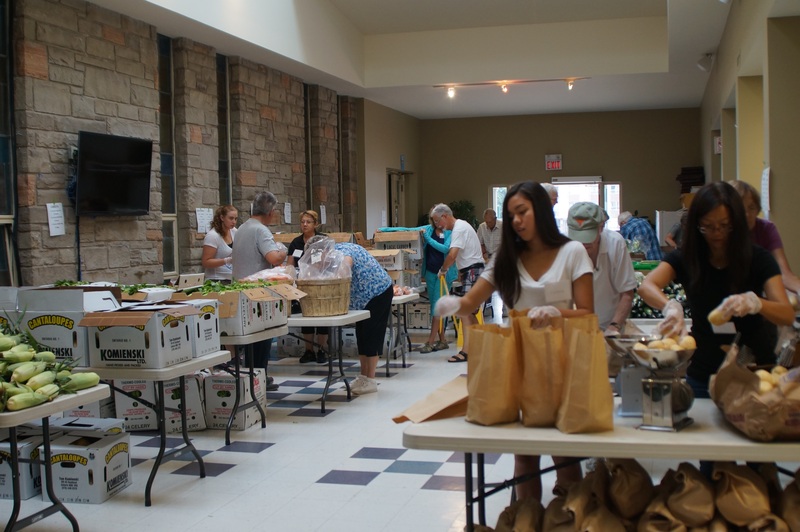 Over 27,000 people in Halton region are living below the low income cut off point and as a result struggle to put good healthy food on their tables. We do not limit who participates but rather we strategically work to position the program in neighbourhoods where our priority groups more often live, work and play. Each month the Halton Fresh Food Box program provides a way for over 1000 families and individuals to enjoy fresh fruits and vegetables, many of which are locally grown in season. We do this in a way that is respectful of all people, while fostering community development and promoting healthy eating. To achieve sustainable funding within 1 year. To partner with charitable groups to increase the number of boxes available for low income residents of Halton region. The Board has identified the following skills as being of particular importance: financial management; fundraising; communications/marketing, legal expertise and Board development. As a member of the Board of Directors of the Halton Fresh Food Box one can expect to take an active part in the ongoing development of this worthy and vital healthy eating program through participation at monthly meetings, strategic planning initiatives and committees associated with the work of the Board. Directors are expected to use their personal skills and networks to support and advance the program. For more information on applying to be a member of our board of directors please contact the Program Manager Evan Hall at manager@haltonfreshfoodbox.com or 647-887-4435. Begin by combining the water are the black rice in a sauce pan with a pinch of salt. Bring to a boil and then turn down to low, cover, and simmer until all the water is absorbed, about 1 hour. Let stand for 15 minutes, without stirring, and then gently fluffy with a fork. While the rice cooks, preheat your oven to 400 degrees. In a large bowl, toss together the pepper squash cubes, 2 tbsp olive oil, and 1 Tbsp of garlic. Mix until the squash is evenly coated and then place the cubes onto a baking sheet. Sprinkle with salt and roast until fork tender, about 10-15 mins. Place the cumin seeds in a small, dry pan set on high heat and toast, stirring constantly for one minute. Toss the crushed cumin seeds into the cooked rice and stir so that it gets evenly distributed throughout the rice. Plate the rice and add the squash, cumin seeds, cheese, cilantro and avocado. Add other diced vegetables as desired (Tomato and Cucumber are a great addition). Broccoli Returns to Burlington and Volunteer Opportunities Abound! With the way produce prices have been going I didn’t expect to see broccoli or cauliflower back in our boxes until they returned to Ontario, oh what a difference a week can make. While many items are still sky high, (I’m looking at you $4.00 celery) broccoli and cauliflower prices have come down to earth and will both be making an appearance in Burlington’s Fresh Food Box. The new year has brought some new opportunities at the Fresh Food Box. 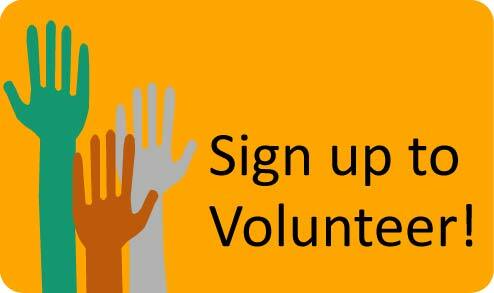 While we always need and welcome extra volunteers at all of our locations we are especially looking for some extra hands at our Milton (First Tuesday of the month) and Oakville (Second Tuesday of the month packing days. We are in need of adults or students to assist in weighing, packing and loading our food boxes. We are also looking for a consistent driver helper for both our morning and afternoon produce deliveries. Email manager@haltonfreshfoodbox.com or call us at 905-634-8645 for further information and inquiries. Due to weather issues in the USA 1 or 2 items may need to be substituted. One week has passed in 2016 and it is already shaping up to be another round of produce price increases. A hurricane in the USA this past week has jumped prices on certain fruits and vegetable imports more than 50%. Certain items likely won’t see an appearance in the Fresh Food Box until the Canadian growing season is back in full swing. Items like Broccoli and cauliflower are going for $4.00 to $8.00 wholesale, which would make up nearly the entire cost of one of our single size bags. In order to continue providing the best possible variety and quantity of produce to our customers some last minute changes may need to be made on the produce going into your Fresh Food Box. Any Ontario items that you see below or on your monthly newsletter will be included without a doubt, however due to the turbulence of the current import market some of the few things that we are forced to import during these winter months may require a last minute change. May and June couldn’t come sooner! Store in the refrigerator to keep crisp for three to four weeks or store outside of the refrigerator in a cool, dry place to keep crisp for about one week. Store avocados at room temperature for up to a week until they are ripe. Once they’re soft to the touch, move them to the refrigerator, where they can keep for up to another week. Tip: If the avocados you bought aren’t soft enough to eat yet, you can ripen them in a jiffy: Just throw them into a paper bag with a banana (bananas produce the most ripening-inducing ethylene of any fruit). They’ll be guacamole-ready in about a day. Store in the refrigerator to keep fresh for up to 10 days. How long depends on the variety of berry, but blueberries will stay fresh the longest. Tip: Berries are one of the most perishable fruits because they’re so thin-skinned. Washing them and leaving them on the counter will cause them to mold within hours, so don’t wash them until you intend to use them. Store in the refrigerator to keep fresh for two weeks, or store at room temperature to keep fresh for seven to 10 days. Schueller points out that because citrus fruits have a tougher skin, they will last longer than most other fruits. Tip: Meyer lemons and limes have a shorter shelf life, only two weeks in the refrigerator. Store grapes in a plastic bag in the refrigerator for up to two weeks. Grapes also have a bloom, so it’s best not to wash them until you’re ready to eat them. Store unripe pears at room temperature for approximately five days. Once ripe, refrigerate for up to a week. “Tomatoes should be stored in a cool, dry place and enjoyed within a week once they’re fragrant and soft to the touch,” according to Schueller. You want to avoid refrigerating tomatoes because it puts the fruit into cold shock and inhibits the taste. Refrigerate peppers for up to two weeks or store them at room temperature to keep fresh for about a week. Keep cauliflower and broccoli in their wrapping and place in the refrigerator, where they will last three to five days. All leafy greens should be stored in the refrigerator and will last three to seven days. If leaves aren’t prebagged, wash and wrap loosely in a paper towel (to keep the water from rotting the leaves), then put in a plastic bag. They should be stored in their packaging in the refrigerator and used within five to seven days. Like other produce, mushrooms will perish faster if they’re presliced. Store in a cool, dry place—ideally in an open basket away from the oven. While most last approximately a month, baby potatoes have a shorter shelf life of about 10 days. It has been an amazing year for the Halton Fresh Food Box and I could not prouder to a part of it. I would like to take the opportunity to thank everyone involved in this amazing program. A thank you to all of our customers who make this program one of the largest in North America, growing to nearly 1,000 boxes a month on average. To our volunteers who do an incredible job week in and week out. I am always blown away by the commitment, dedication and expertise that they all bring to the program, if you haven’t had a chance to see the production of the boxes it is truly a think to behold, a shining example of what a community can accomplish. To Brenda Moher, the recently retired architect of everything this program has become, Jeanne Bullock our volunteer coordinator who helps to make everything run so well every single week. To our Board Of Directors who volunteer their time to steer this program in positive directions, working behind the scenes, fundraising, marketing, finances, they do it all. A special thanks as well to the Trillium Foundation and the Region of Halton who help to fund this project and its improvements, it would not be possible without this assistance and dedication to providing healthy affordable produce to the residents of Halton Region. Happy Holidays to all of you and thank you so very much for all that you do. We will see you in the New Year! Your Ontario grown produce this month includes all of your vegetables as well as the apples in your box.